"Today, I don't know, macaroons." I like her ladylike yellow dress and her lovely cashmere(?) 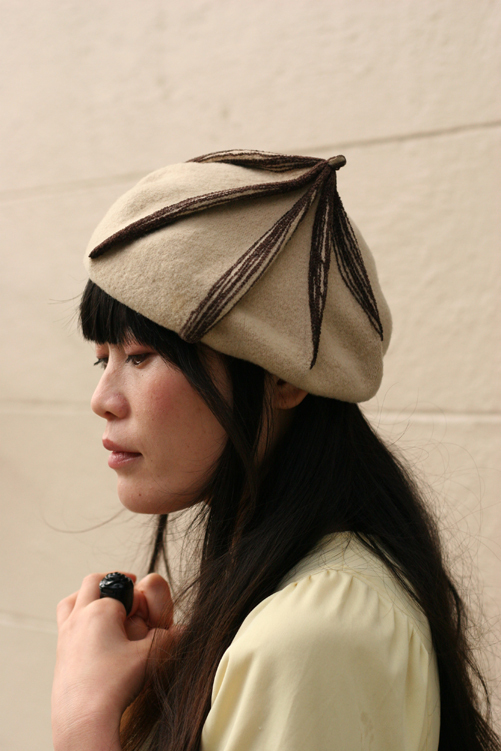 beret with brown yarn detail. Stylistically, she's a modern day Bonnie Parker. I remember seeing Momoca selling her wares at clubs in the early aughts. She always has impeccable taste, I'm glad I ran into her when I was photo walking. Omg. Those shoes. How I covet those shoes. Tomoko is the best... She always looks lovely. she's does remind me of bonnie parker.